Fresh into our yardmaster’s office today is this big win off of eBay, showing Southern Pacific Railroad SD-9 4426 and partner(s?) leading a string of cars under the old Eleventh Street overpass in 1981, headed out of town toward Banta and Mossdale. This view can no longer be replicated for several reasons, not the least of which is the tear-down and rebuild of the old overpass. The train is identified as the OAMJM, a symbol your correspondent cannot decipher, even after consulting several old timetables. Any ideas? 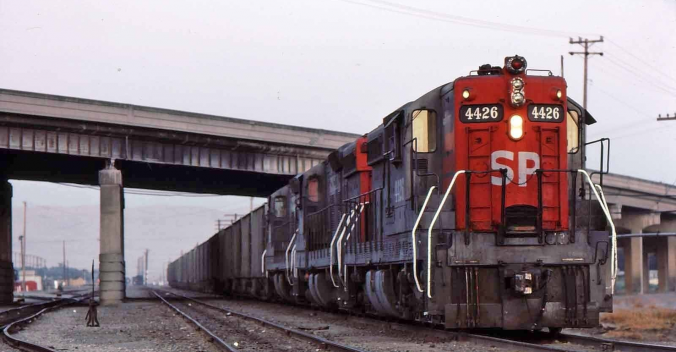 Built in 1956 by GM’s Electro-Motive Division, this powerhouse began its life as SP’s 5468, then was renumbered in 1965 as 3942. 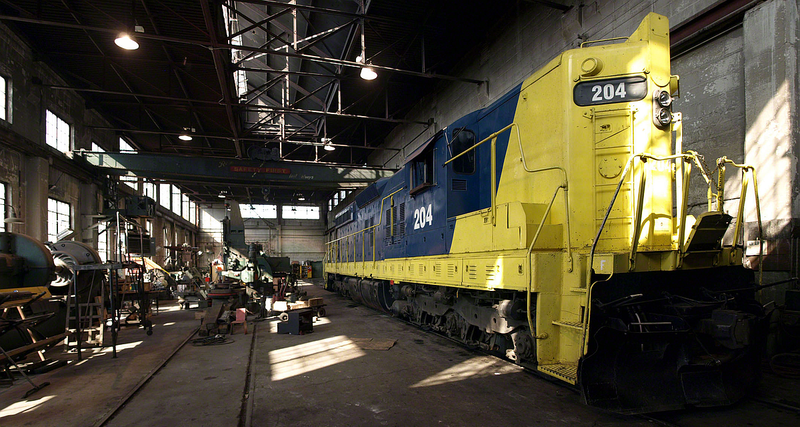 A 1977 rebuild came with one final set of Espee digits as 4426, and she nearly made a full thirty years of service on the Friendly before she was tossed aside in July 1995. Nevada Northern photo courtesy of the Nevada Northern Railway, Ely, Nevada.